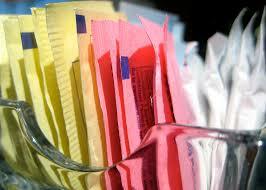 Artificial sweeteners are synthetic sugar substitutes. These are attractive alternatives to sugar because they add virtually no calories to your diet. However, studies have found that artificial sweeteners can actually increase your risk for weight gain, type 2 diabetes, and cardiovascular disease. Artificial sweeteners confuse your metabolism because they are much sweeter than sugar. They are also highly addictive. 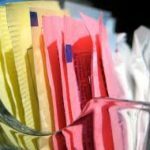 The moral of the story is that artificial sweeteners may not be a “guilt-free” alternative to sugar. It’s important to keep everything in moderation.